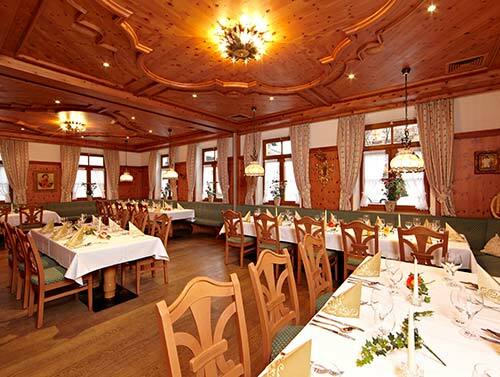 The inn was mentioned for the first time in 1867 and has evolved over time into a Partenkirchen institution. And it has remained as such. Here locals meet at the pub, sitting in the beer garden behind the hotel with a glass after work, it is the location for all types of family celebrations from birthday parties to baptisms, communions and weddings and finally funerals. The bar, lounge and ballroom can accommodate from 20 to 200 people. Our executive chef, Martin Baudrexl, is a chef and master butcher who has a high regard for local products. As a chef with international experience, he is also aware of the bigger picture. The result: Bavarian fare with a twist. 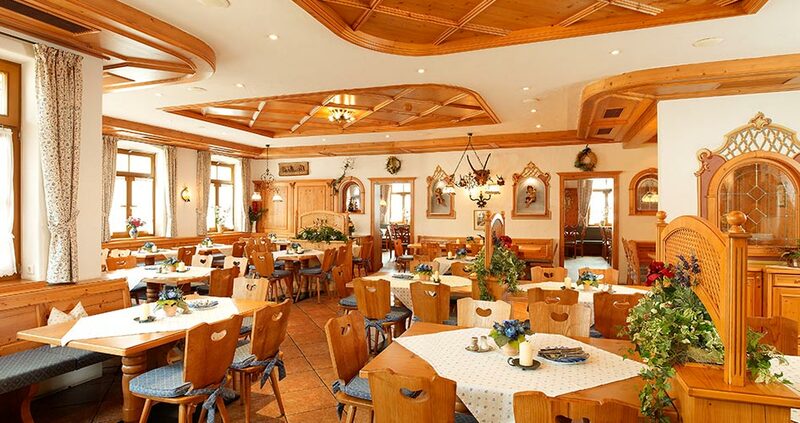 The silver award in the “Bavarian Cuisine 2007” competition, as well as recommendations by “DER FEINSCHMECKER” and the leading culinary guide “gusto – Oberbayern 2007” confirm the quality of the cuisine and encourage the team to maintain this standard. Open every day except Wednesday and Thursday. 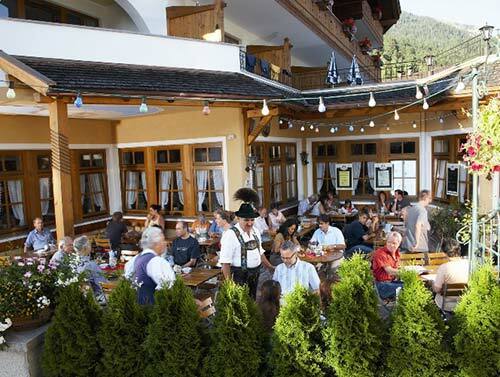 Bavarian music and Schuhplattler (traditional dancing) every Tuesday and Saturday at 6:30 pm. “Sit in the sun in the shadow” – thus our motto invites you to linger in the peaceful and idyllic beer garden located behind the hotel. Here, after work drinks, a hearty snack or treat from the kitchen taste particularly good. The lounge can accommodate 50 to 60 people and is particularly suitable for celebrations with the family or for smaller companies. 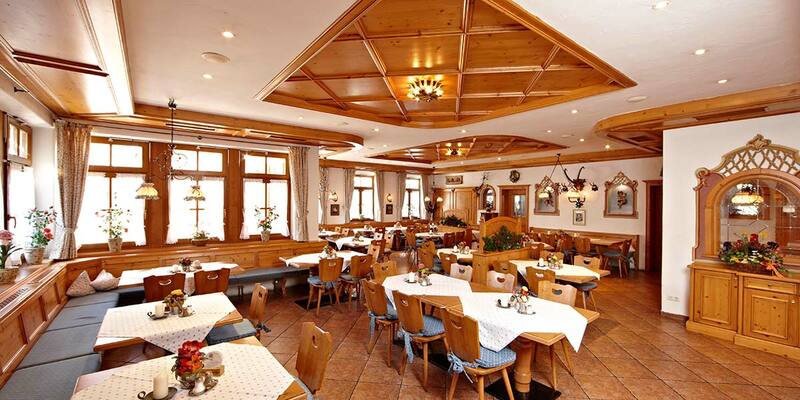 The cosy Zirbelholzstüberl can – depending on space requirements – also be divided into two smaller rooms for 20 to 30 people.